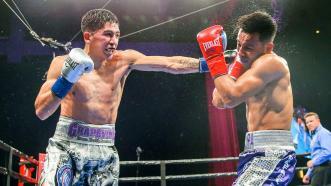 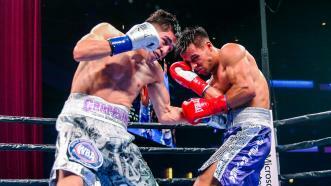 Leo Santa Cruz has set a big goal for himself: he wants to unify the featherweight division. 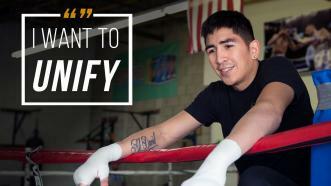 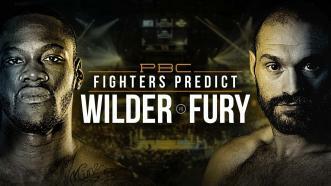 But first, he needs to get past Rafael Rivera on Saturday, February 26th, live on FOX. 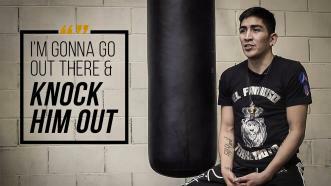 WBA Featherweight World Champion Leo Santa Cruz knows that Rafael Rivera is a tough opponent, but he’s confident he’ll walk away with a knockout victory on Saturday, February 16, 2019, live on FOX. 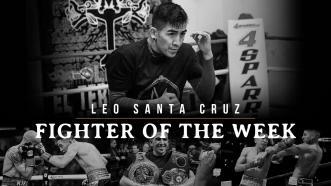 Featherweight World Champ Leo Santa Cruz returns to the ring to defend his WBA 126-LB title vs Mexico’s Rafael Rivera on FOX. 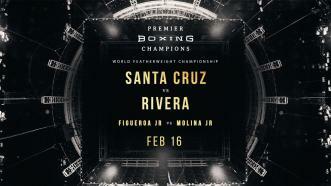 WBA Featherweight Champion Leo Santa Cruz defends his title against Mexico's Rafael "Big Bang" Rivera in Los Angeles. 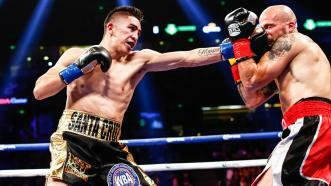 Undefeated three-division champion Leo Santa Cruz defended his 126-pound world title with a fifth-round TKO of former 122-pound champ Kiko Martinez.